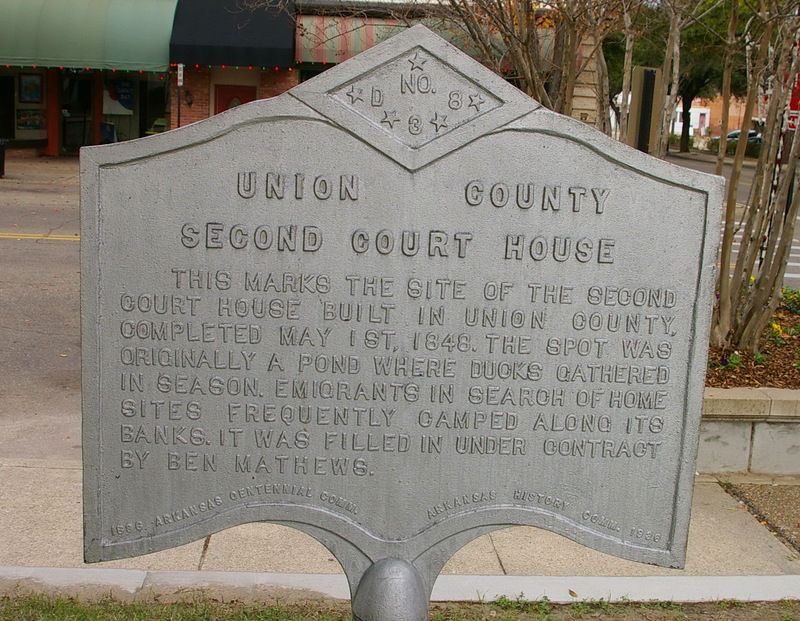 Union County is named for the concept of Union which was threatened later by the American Civil War. 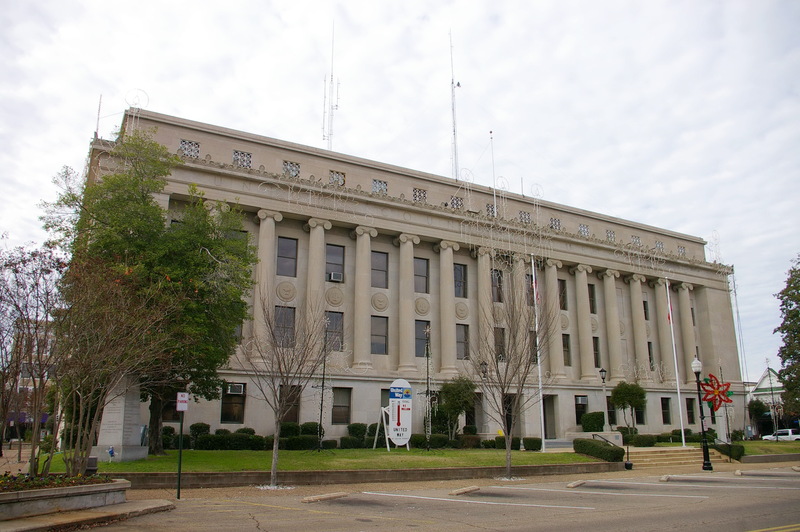 Description: The building faces west and is a four story gray smooth-dressed limestone structure. 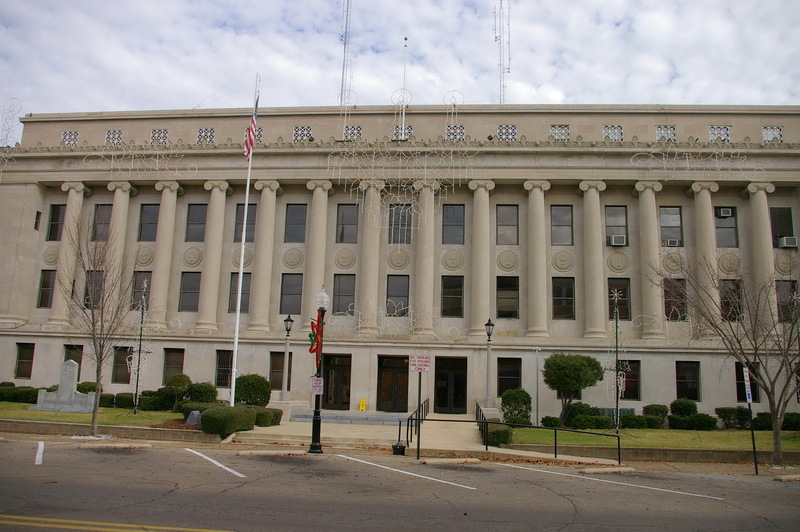 The west front has a series of columns rising from the second story to the top of the third story. 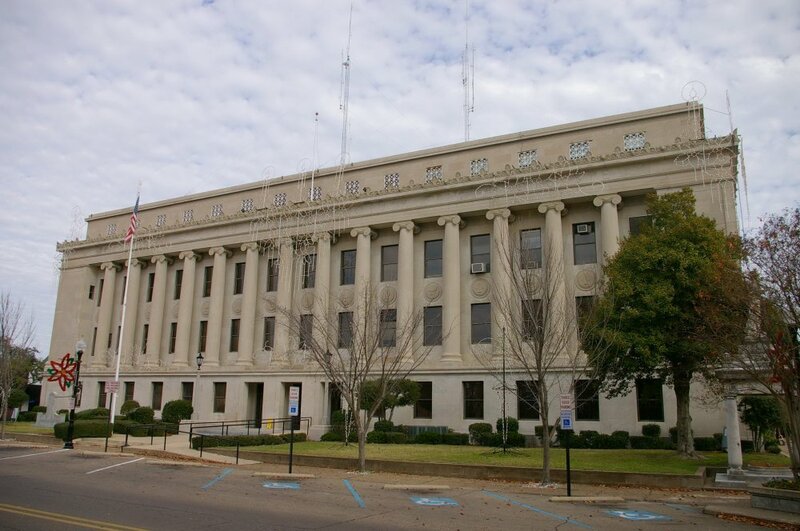 The building has 40 Ionic columns. The windows between the columns are recessed. 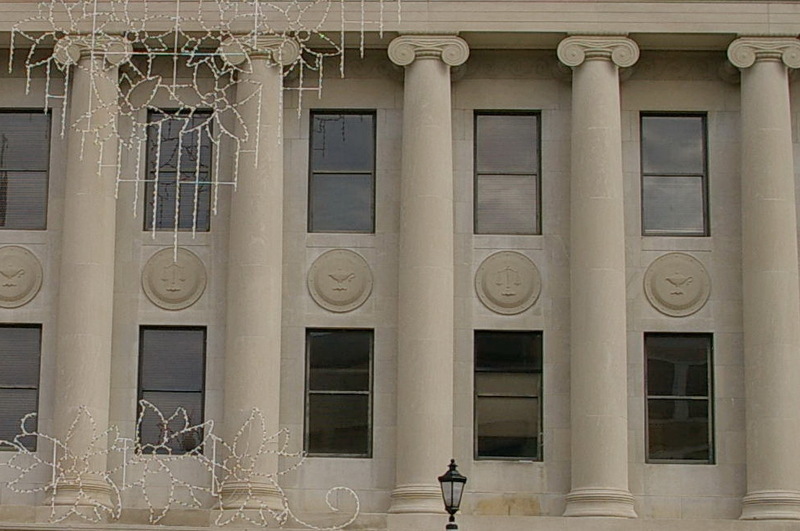 There are exterior medallions of the scales of justice and lanterns. The fourth story is recessed. The building’s largest courtroom features a walnut wainscot, tromphe l’eil painting and scoring on textured plaster walls to resemble stone, and an ornately detailed plaster cast ceiling of gilded rosettes. The roof line is flat. 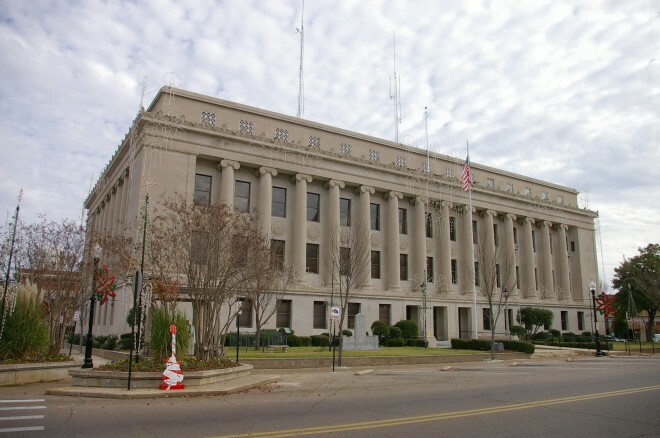 Note: The first courthouse was built in 1844 at a cost of $200 and the second courthouse was built in 1848 at a cost of $12,000..